I first met Alastair and Laura in March, and they had been struggling to find the right property. A young couple, looking to buy their first home together, they had been out bid a few times which isn’t unusual in this market – so they were a little despondent. They were ready for their search to take another 6 months – time which they didn’t really want to spend. But from the point I stepped in to help, we were able to have an offer accepted within 3 weeks. My job is to get into the market. I took 3 days registering with different agents (28 in total) in the area – Earls Court, Gloucester Road, Fulham Road and South Kensington – so I covered the entire south west London search area – as per their brief. I kept in contact with the agents (text, phone, email, and popping in) – reminding them that I was going to be their next client. I knew one of these agents was going to find the property for us – and help my clients “be the first through the door”. The key in the competitive London market is to be there every day. I could tell you which way the doors are hinged in some of the agents – I went in that often! 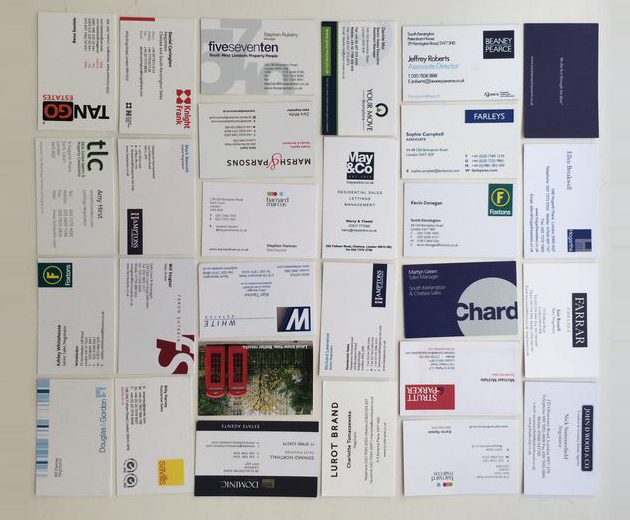 To give you a bit of an idea of what 28 different estate agents look like – check out all their business cards below! 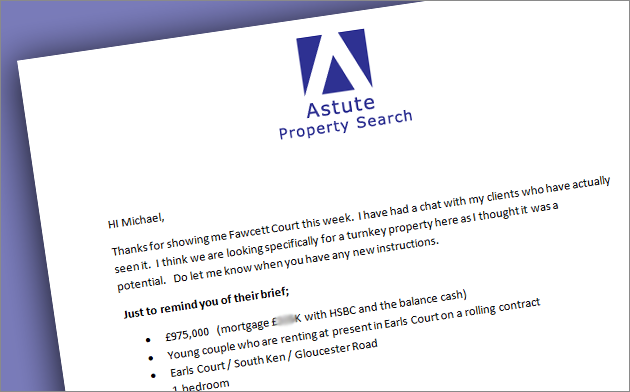 Of course, a key part in getting success for finding the right property is reminding the agents what my clients were looking for – and being very specific. I then went out previewing properties which I thought would be suitible. For some of the time, my clients were on holiday – but the search couldn’t stop. I took videos of the property and sent these on to them (hopefully not costing them too much money in roaming charges!) Thanks WhatsApp! And being the organised person I am – I kept a spreadsheet. 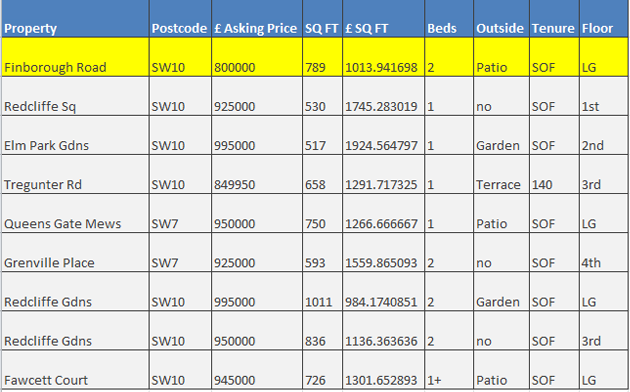 Below is a selection of the details I looked at (this is not a complete list of all the properties I saw – but gives you an idea). Looking at a spreadsheet helps you look at the figures without allowing emotional attachment to get in the way – numbers speak for themselves. I always pay attention to price per square foot. It’s important to know you are paying the right price for the area. I recommend doing this for anyone looking to buy. Persistence results in success once again! 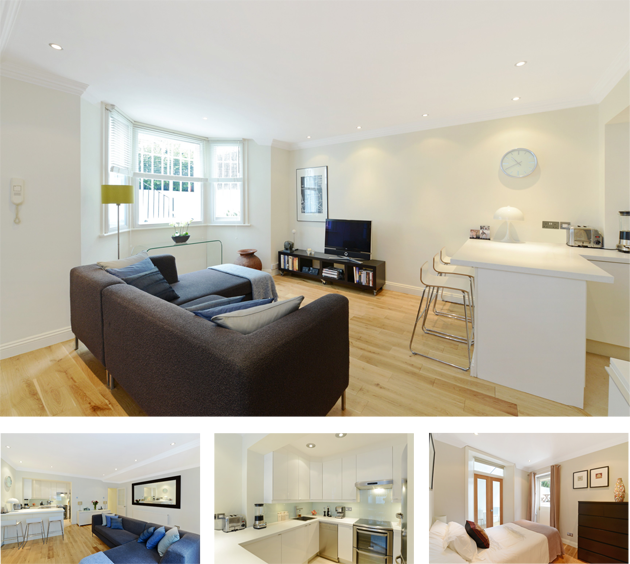 Then I found what was to be the right property – Finborough Road – a lovely 2 bedroom garden flat, with an open plan kitchen, an entertaining area, with nice east west aspect providing good natural light (sounds just like the brief, right?). 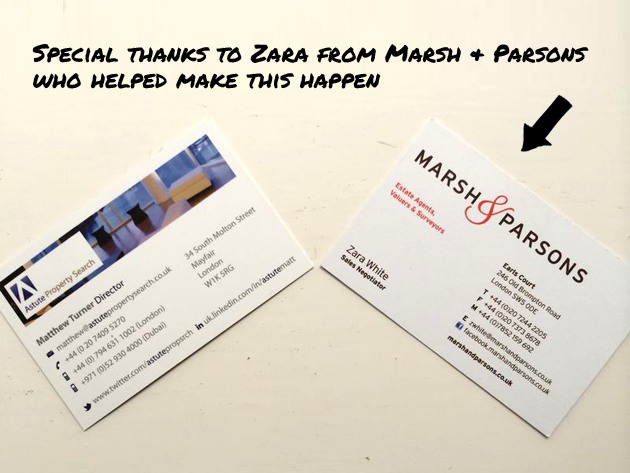 Below are the pictures sent from the agents – Marsh & Parsons. On Alastair and Laura’s return from holiday – I took them to view the property twice. It’s good to do multiple viewings to make sure it’s the right property. Typically in the London market at the moment, they were not the only ones to spot this gem, which we thought was excellent value for money. The other party who wanted to bid for this property were cash buyers – so we really needed to structure a strong big. We did this with a few of my special “tricks of the trade.” These are obviously top secret – however, offering a non refundable cash deposit may or may not be one of them! We were fortunate to put in the winning bid. It was not about being just the highest bid – but the best bid over all. If you are curious about how I did this – get in touch and I will reveal one more secret to you – just for being a loyal reader of my blog. It’s also good to have a good solicitor on board – which we did – Jessica Chappell of Portner Solicitors. Jesssica was really quick at processing the relevant documents and getting us what we needed efficiently. She was always on hand to answer questions and troubleshoot. The conveyancing process can be a bumpy ride (which is a whole other blog! ), but her diligent work made it a smooth one. I am pleased to say my clients now have their keys. When I visited recently, Laura, Alastair and their new home all looked happy together! 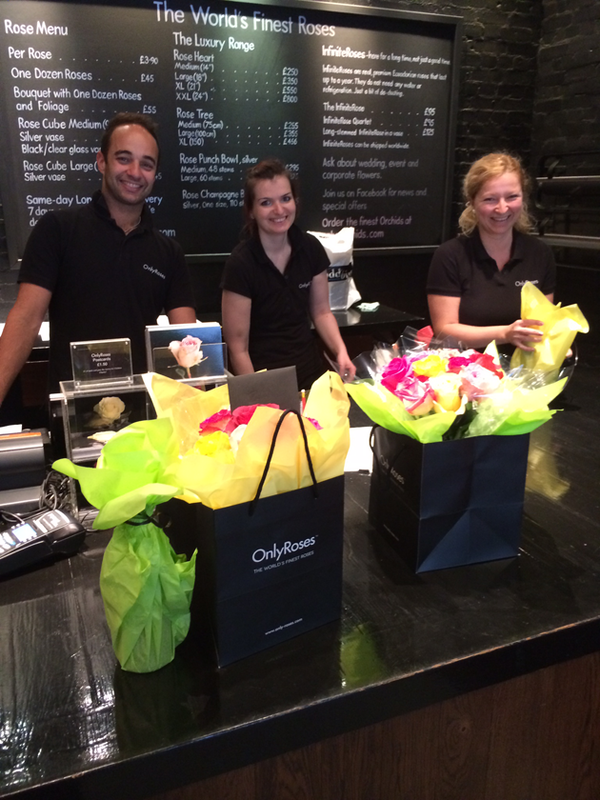 To thank them for being such great clients, I went to Only Roses in Earls Court, for their housewarming gift. 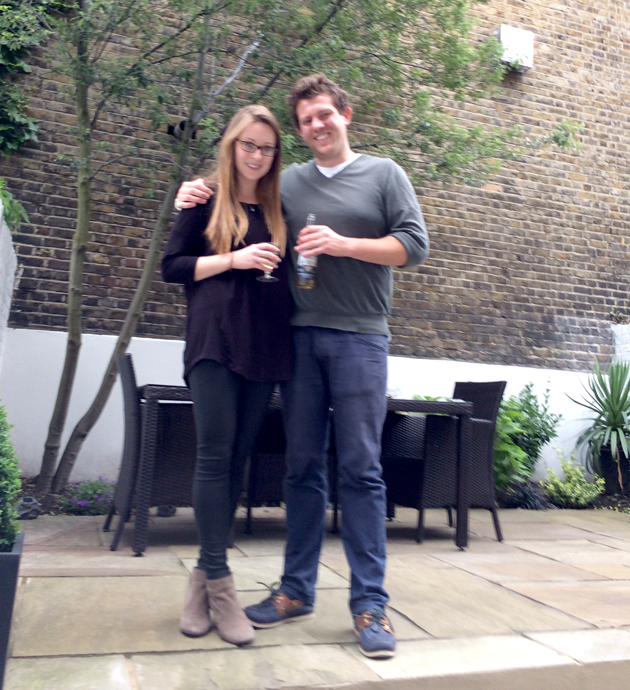 Laura and Alistair are pictured below – posing on their new patio.